Standees are harder to make than you might think. The slot that hooks the two pieces together must be very precise for them to stay connected. 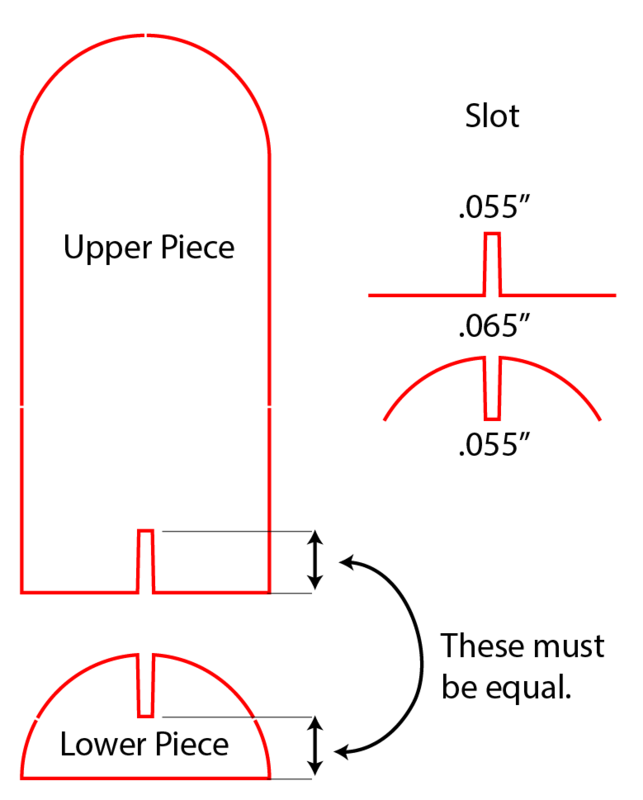 The slot in the bottom of the upper piece must be the same height as the remaining area below the slit on the lower piece. For a snug fit, the slots are smaller at the innermost end than they are at the opening. Our chipboard is .065" thick, so the opening of the slot should also be .065" wide. The innermost end of the slot should be .055" wide. Note that the top end of the slot in the upper piece is smaller, whereas the bottom end of the lower piece is smaller.